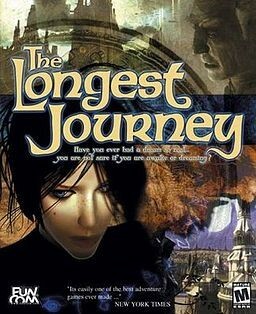 The Longest Journey requires players to interact with objects on the screen and solve puzzles, which advances the story. The protagonist is April Ryan, who can move between the parallel universes of Arcadia and Stark. Her job is restoring their balance.